3) Creatively Communicate – With the doors that technology has opened, the customer relationship management game has completely transformed. CRM is actually one of the most, if not the most important part of accounts receivable management. If you have a strong and healthy relationship with a client, they are not going to want to jeporadize that. Be creative in how you connect with clients. If you are on social media (which you should be), be sure to follow them on every medium, constantly commenting on their updates and showing them your listening. Send emails just checking in, being sure to nurture the relationship beyond just business. Always take note of your customers’ special occasions: birthdays, anniversaries, store openings, launches, etc. It’s about showing them you care and showing them your paying attention. It creates an emotional connection between you and your customer, making it harder for them to pull a fast one of you. Also, when a customer sees just how attentive you are, they will assume you are surely as diligent about your payments. You don’t mess around when you know someone runs a tight ship. 6) Remind, Remind, Remind – This seems silly, but your customers might not know their payment is late if you don’t tell them. Believe it or not, some of them haven’t paid you because they just simply forgot. It’s your job to make sure this isn’t the case. As soon as the payment is past due, get a reminder letter in the mail. However, don’t just use a generic letter. Be crafty in your accounts receivable management and sculpt the letter’s language to be appropriate for the situation. If somebody is a chronic late payer, you might want to up the severity, where if it’s someone’s first time offense, keep it friendly. Check out these sample collection letters for great references. 7) Stay Professional – The worst thing you can do when it comes to a late payment is to get emotional. Now don’t get me wrong, you should be emotional. In fact, you should be very, very upset that someone didn’t respect you and your work enough to make the effort to get your money in on time. However, don’t let these emotions cloud your decisions. Stellar accounts receivable management is about learning how to stay professional. If you are a small business owner, chances are these are your friends, or even people you see out to dinner, on the golf course, at church, etc. You don’t want to do anything to ruin the relationship. 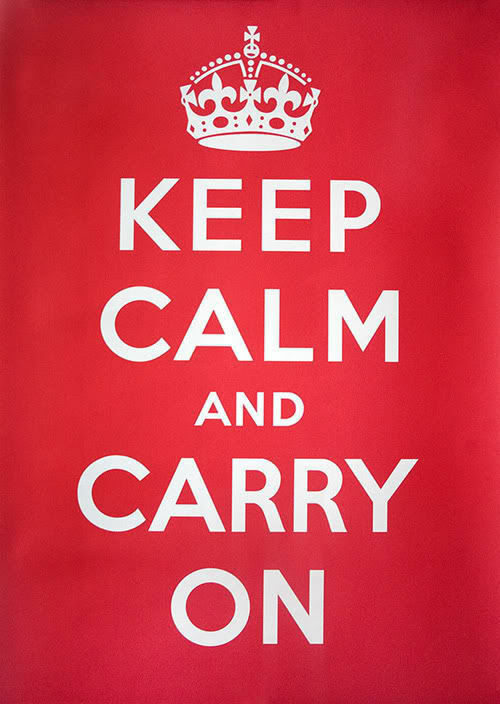 As they say, keep calm and carry on! 8) Collection Call – After you have sent the letter and have received nothing, it’s time to get on the phone with the customer. This is a crucial moment in your accounts receivable management. You must, again, not let your emotions get the best of you and you cannot let the customer run the conversation. You need to prepare for the call and be ready to accomplish your goal. To do this, follow this excellent guide that will help you prepare for your collection call. 10) Installment Plans – When you do come across a customer who seems to be in a financial hard spot and you really would like to help them out, installment plans are key. Having a customer pay you back in a smaller amounts over time is MUCH better than a customer not paying you back at all. It gets cash in your pocket immediately and says a lot to the customer, as you are doing them a huge favor. Work with the customer to create a payment plan that meets both of your financial needs. Ideally, it would be great to always receive all of your money up front, but in those moment you can’t, be creative in how you can help the customer pay you. 11) Finance Charges and Rewards – Incentives go a long way, no matter what you are doing. Consider this when it comes to accounts receivable management. Are you adding finance charges for late payments? Are you giving customers a discount if they pay early? Whether it is to have consequences for paying late, or rewards for paying early, help give customers a little push in getting that cash to you on time (or early). It’s worth it, especially to see what kind of affect it has on your payments. If you are considering adding a finance charge, check your state’s usury laws to make sure you are not overcharging. 13) The Experts – When you are having huge issues with late payments or delinquent accounts, it is ok to turn to the experts (this is not saying you AREN’T an accounts receivable management pro). A lot of people are hesistant and cautious in using collection agencies and rightfully so. But if you are wise and do your research, you can find a company that will get you paid and treat both you and your customers right. It’s all about asking the right questions. If you find yourself in the position of needing to send accounts to collections, do your due diligence and you’ll find a partner who will make their first priority to get you paid, while letting you focus on the other things that are important for your business. These are all great accounts receivable management tips. And a timely reminder to business owners that though it may not always feel like it, there are manageable and effective ways to stay in control of their accounts receivable. As an employee of The Receivables Exchange, I’m particularly glad that you mentioned receivables factoring as an Outside Resource (No. 12). Invoice financing allow SMB owners access to a consistent source of capital, even when their customers are slow to pay. This can be a great supplement to all of the other accounts receivable management strategies you laid out in the article. Thanks for stopping by! The Receivables Exchange is an incredible resource, and we always recommend it when it comes to factoring. Factoring can be particularly intimidating for SMB owners, but truthfully, it at times is the best option for stubborn accounts. Getting cash immediately? Answer to SMB owners’ prayers! Glad to have you hear Mariah, stop by again soon! Nice tips! It definitely is important to be as professional as possible, and all of these points are good concrete ways to do just that. Thanks Andrew! And you’re so right about remaining professional. Thanks for stopping by! I really enjoyed reading through the day one course and shall follow the program through to the end. Thank you to you and your team for this great way to get more professional about out approach to Accounts Receivable Management. What is the actual cost on the dollar per day that it is late? I’m sure there is a method to this but can’t find it and if I were going to charge interest or create an incentive for early payments, this answer would be very helpful! Nonetheless, the posts are too quick for starters. May just you please prolong them a bit from subsequent time?